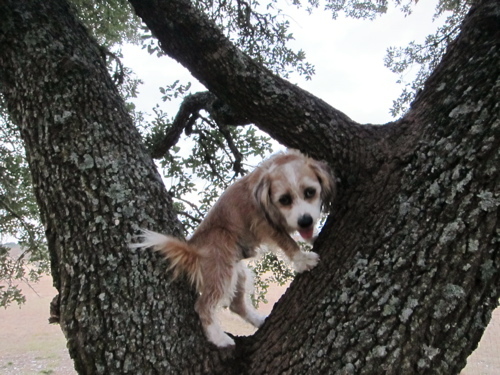 My cousin is pretty silly–he LOVES climbing this tree in his backyard. And there aren’t even any squirrels up there! 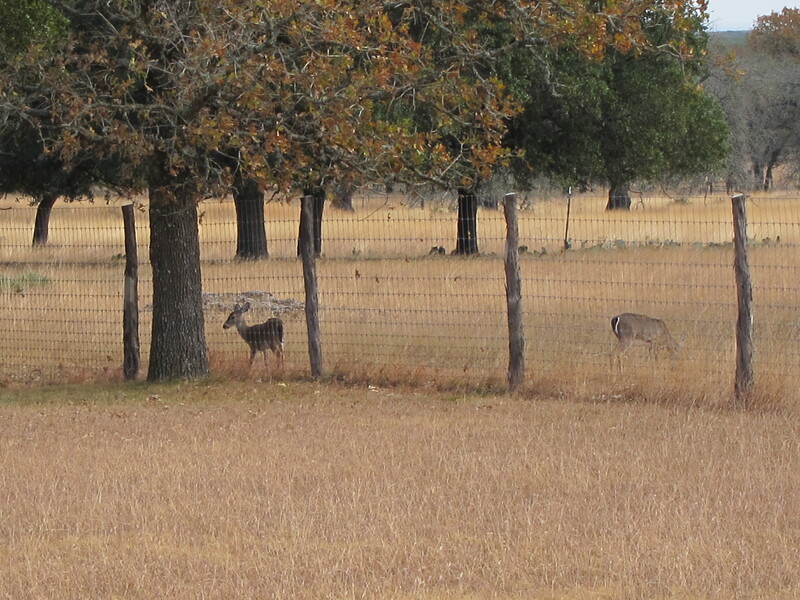 Do you think he was looking for deer? Or maybe he was looking for my birthday! It’s here, TODAY, but I can’t celebrate until everyone comes back from Texas. I can’t wait!!! 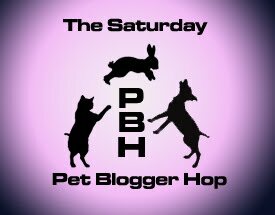 I think Dexter and I should hop over to the Blog Hop! No telling what we can see!! !